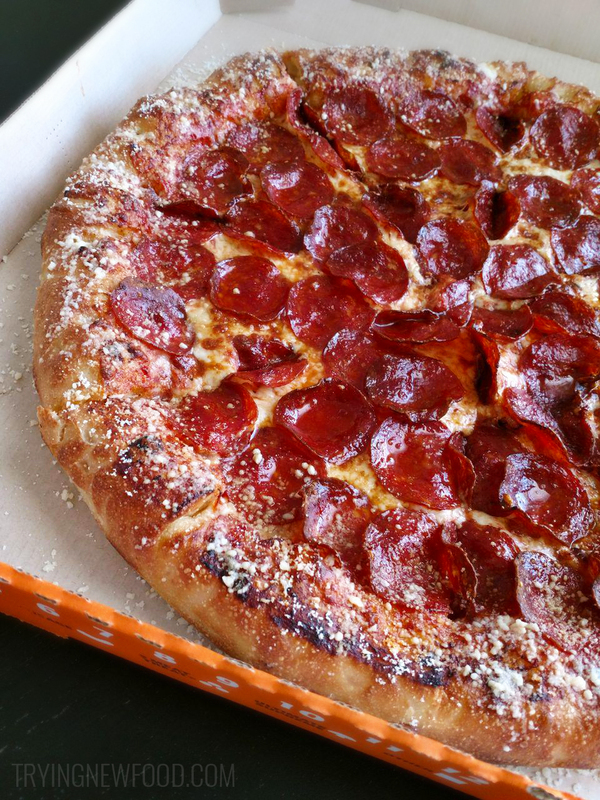 The Little Caesars stuffed crust pepperoni pizza is currently showcased on their website. 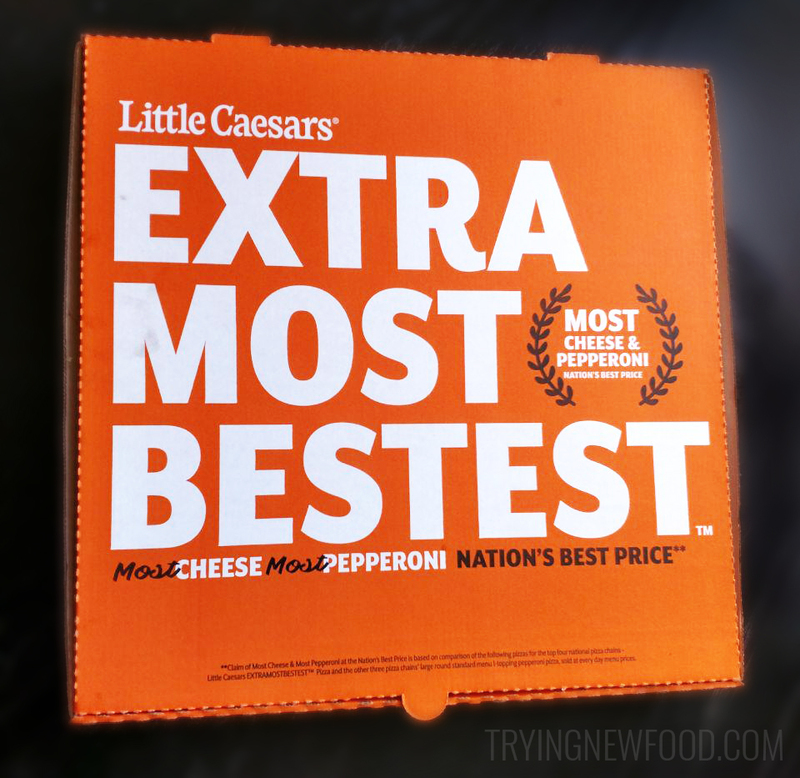 Not only is it just $9, but it’s available as a Hot-N-Ready from 4 to 8 p.m. There’s a Little Caesars just down the street, so we decided to order one online and pick it up to review. I LOVE their box design! Bright colors and a bold font win the day. It’s the prettiest pizza box I have seen in quite some time. Inside, an extremely pepperoni-covered pizza. Those plentiful pepperonis had a nice flavor and a very enjoyable crispiness. They were evenly distributed over the pizza so you got a mouthful with each bite. The only downside was there were a few large pools of grease within some of the pepperonis. Some folks love a greasy pizza, but it was a little much for us. Nothing a napkin can’t care of, though. 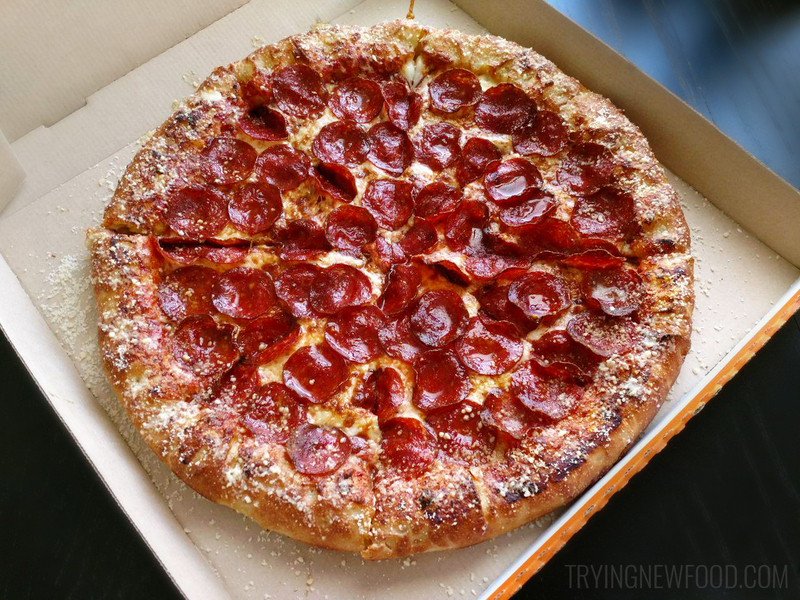 The Little Caesars stuffed crust was coated in a generous parmesan sprinkle. Inside, the crust interior was about halfway filled with cheese. And it tasted heavenly. I was so surprised and pleased with how tasty the whole pizza was. We had a stuffed crust pizza from Pizza Hut and it was nowhere near as tasty. I love that it’s only $9! I can see this pizza as our go-to for celebration pizzas. Not something we can eat often, but worth getting once every so often. I really hope these don’t go away any time soon. The Smokehouse pizza we reviewed last year is no longer around.